It has for several years felt like a hole in their portfolio, but now IRONMAN have announced a new full-distance race for Italy in 2017, IRONMAN® Italy Emilia Romagna to take place on Saturday 23rd September 2017. The race will be based in Cervia, a seaside town in the Emilia-Romagna province of Italy, which is close to Rimini which has hosted several major multisport events over the years including the World and European Duathlon Championships. With the region, including nearby Cesanatico, popular and familiar to many for cycing and triathlon camps and events, this looks set to be another popular addition to the schedule. Fingers crossed this event will have more legs than the ill-fated Ironman Civitavecchia which was announced in October 2015 but then cancelled barely 50 days later. 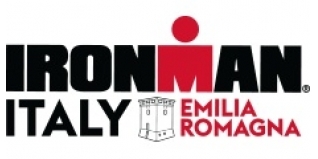 IRONMAN, a Wanda Sports Holding company, announced today the addition of the IRONMAN® Italy Emilia Romagna triathlon. The inaugural race in Italy will take place on September 23, 2017. In addition, a 5150™ Triathlon Series event will take place on September 24, 2017. The race will be located in Cervia, a seaside town with a population of 29,000 in the Italian province of Emilia-Romagna, which lends its name to the event. Characterized by beautiful beaches and crystal-clear water, the history of Cervia traces back more than 1,300 years. Located just over an hour away from the province’s capital Bologna, Cervia is easily accessible by car and train as well as via Bologna International Airport, which is served by state airline Alitalia and low-cost carriers from all over Europe. IRONMAN Italy Emilia Romagna will be the first ever full-distance IRONMAN event in Italy, with the country previously hosting the IRONMAN® 70.3® triathlon in Pescara, located 300 km south of Cervia. We are thrilled to be adding a second event in Italy which will contribute to the further growth of our European series,” said Hans-Peter Zurbruegg, Managing Director of IRONMAN Europe, Middle East and Africa. “Last year more than 3,000 Italian athletes raced in our European races. Bringing a full-distance IRONMAN race to Italy is something we have been working towards for quite some time – it is a great way to provide more opportunities and thank our loyal Italian athletes. Athletes will start their race on the beach of Cervia. The swim course will consist of one loop of 3,8 km, which includes an “Australian exit” – a quick shore leave between two portions of the swim course – after approximately 2,5 km. The two-loop bike course of 180,2 km starts on the promenade of Cervia and moves through the hills of Romagna. Athletes then head through the picturesque natural park of Salt Pans, where pink flamingos can be seen in their natural habitat. Next, it runs through the vineyards of famous Sangiovese and follows the “street of wine and taste” of Romagna. After passing the top of the hill in Bertinoro, the course descends back to Cervia. The total elevation gain of the bike is about 700 m. Athletes will finish their race on a flat three-loop 42,2 km run course. After reaching the port canal, the course continues through the main streets of the nearby Milano Marittima. Athletes then enter the heart of Cervia and cross the square of the historic and iconic “salt warehouse” before reaching the finish line on the beach promenade. "This is an exciting opportunity for us but especially for the people of Cervia and Emilia-Romagna. With the IRONMAN race on Saturday and the 5150 Triathlon Series event on Sunday we are not bringing one, but two races to this exceptional town. It’s been a pleasure working on creating these events and we have experienced an extremely positive and welcoming atmosphere. This will be a true triathlon festival and we are proud and excited to be part of it,” said Björn Steinmetz, Regional Director Central Europe at IRONMAN. IRONMAN Italy Emilia Romagna will offer a $40,000 USD professional prize purse and 40 age-group qualifying slots for the 2018 IRONMAN World Championship. General registration for IRONMAN Italy Emilia Romagna will open at 2 pm local time on November 4, 2016 at www.ironman.com/italy. Athlete inquiries may be directed to italy@ironman.com.